Beautiful Dreamer was recorded by The Beatles for a January 1963 edition of the BBC radio show Saturday Club. It was taped at the Playhouse Theatre in London, and the show was hosted by Brian Matthew. 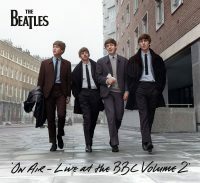 The Beatles recorded five songs for the show: Some Other Guy, Love Me Do, Please Please Me, Keep Your Hands Off My Baby and Beautiful Dreamer. The two-hour programme was broadcast on 26 January at 10am on the BBC Light Programme. Beautiful Dreamer was written by Stephen Foster (1826–1864), and was published posthumously in March 1864. The lyrics tell of a person singing to a lover who is oblivious to worldly cares and might actually be dead. The Beatles' version was based on a doo-wop version arranged by Gerry Goffin and Jack Keller in 1962 for the singer Tony Orlando. It became part of their live set from 1962 and through to early 1963. When released on the 2013 collection On Air – Live At The BBC Volume 2, Beautiful Dreamer was one of three songs not officially available elsewhere. The others were I'm Talking About You and Happy Birthday Dear Saturday Club. Beautiful dreamer, won't you wake up to me? Beautiful dreamer, come on and wake up to me, yeah baby! Paul is the lead vocalist in this song, John is doing backing vocals with George.